In the 1950’s and 1960’s karate was gaining popularity around the world and competition karate was fuelling this but with this growth came problems. Many different styles of karate were using a diversity of rules and with a lack of a unified protocol there was little or no cohesion amongst these groups. A need to create a unified body that addressed these issues from a global perspective, rather than a local one, saw the formation of the World Union of Karate-do Organisations (WUKO) on the 10th October 1970. National karate federations, recognised by their countries National Olympic Committees, soon became members of this governing body for karate. During the 1980’s and 1990’s WUKO’s membership increased rapidly and it was decided a name was required to more accurately reflect the nature of the organisation and on the 20th December 1992 WUKO became WKF . . . the World Karate Federation. Today WKF boasts 192 member countries and is the largest governing body of sports (competition) karate in the world and is the only karate organisation recognised by the IOC (International Olympic Committee). But karate’s road to the Olympic arena was a long one that included many failed attempts however, after many years of petitioning the IOC, the WKF finally gained notification in August of 2016 that it would be included as a new sport in the 2020 Olympic games in Tokyo Japan. The only recognised organisation in Australia that can be a member of the WKF is the Australian Karate Federation (AKF) and since it was formed in the early 1990’s, WSKF (World Shotokan Karate-do Federation) has been a constant member of the AKF. 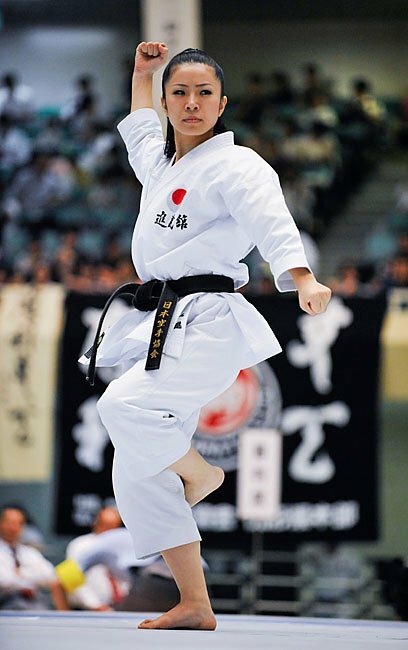 In essence the World Karate Federation governs world international competition karate. It controls the rules and regulations of competition and runs a World Championship every year in a different country and because of the link with the WKF through our Australian Karate Federation, all WSKF members have the possibility to compete at the highest level of world competition if they desire. More details of the Australian Karate Federation can be found HERE.